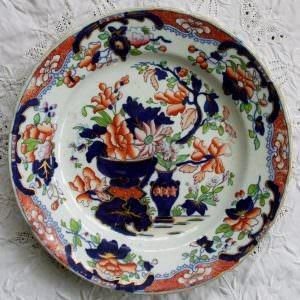 Ironstone China, in appearance and properties similar to fine stoneware, was developed by the potters of Staffordshire during the early years of the 19th Century as a cheaper, mass-produced alternative to porcelain. 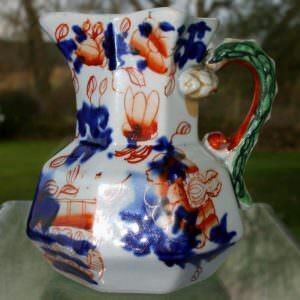 The material will ever be associated with the company founded by Charles James Mason following the registering of his patent of 1813. 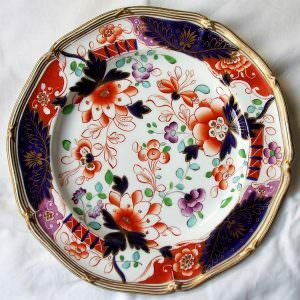 Offered in a range of brightly decorated colourways, the heavy material was used for the manufacture of everything from plates to fireplaces, decorated with patterns whose inspiration was often drawn from oriental sources, particularly those of China and Japan. 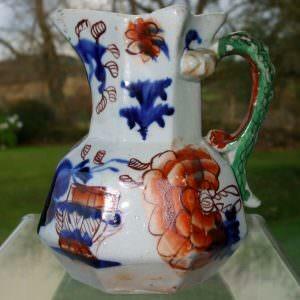 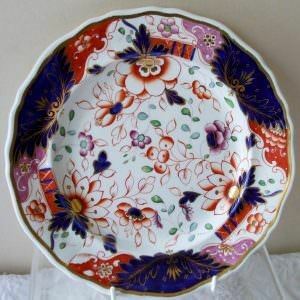 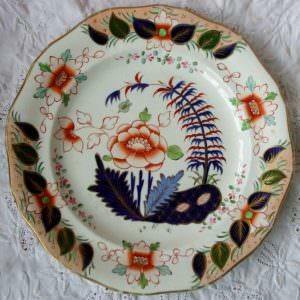 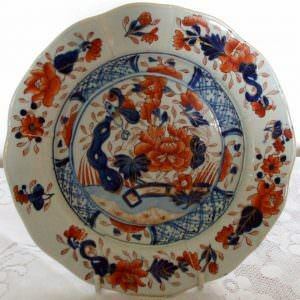 In turn inspiring the colours and patterns encountered in Gaudy Welsh pottery, “Mason’s Ironstone” as it has come generically to be known is today both highly regarded and popularly sought after by Collectors.